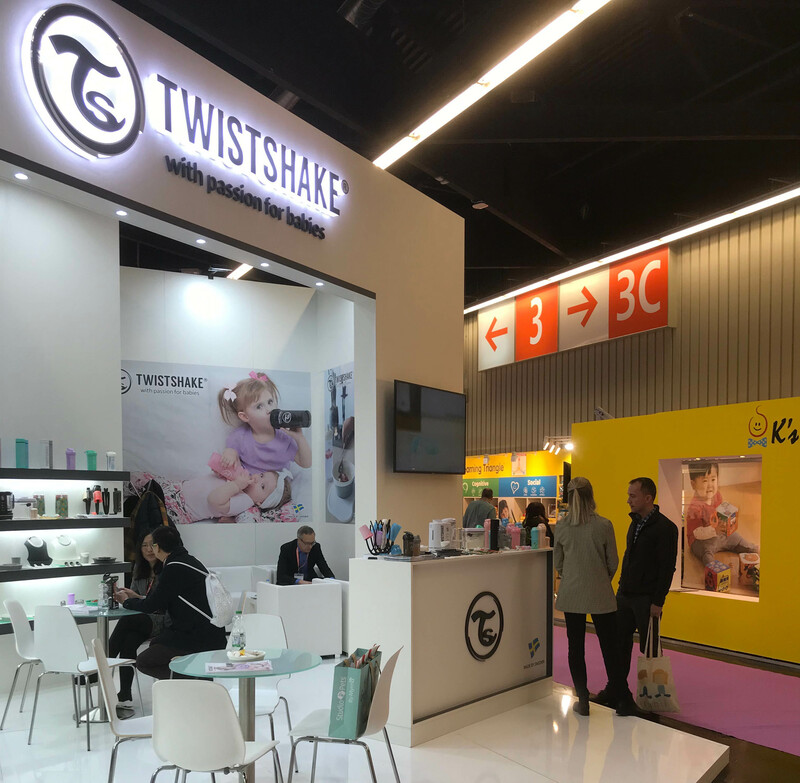 This project attended “Spielwarenmesse ‘19’’ the largest and most important event of the year for the toy industry. 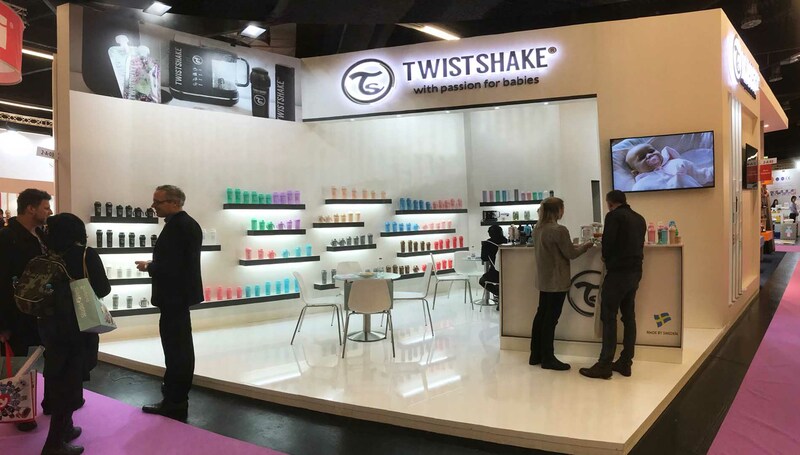 The toy fair in Nuremberg brings together all international decision-makers. 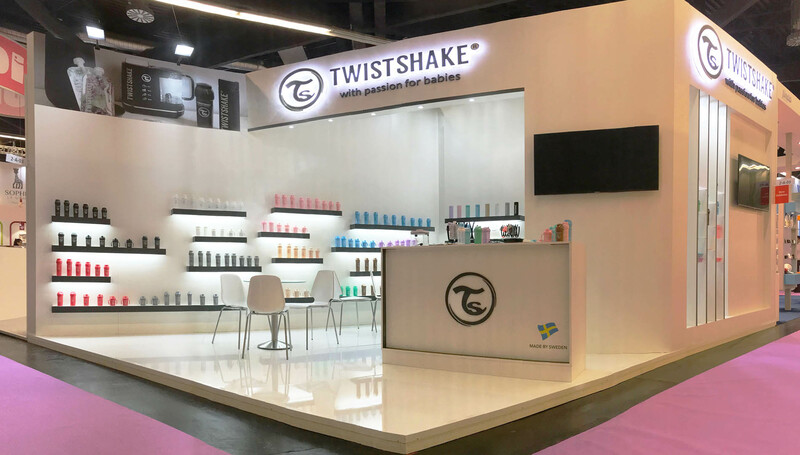 Well-known brands, trendy start-ups, buyers for major chains, independent retailers and large numbers of media representatives combine to make the Spielwarenmesse® a unique event for all players in the toys and games market. 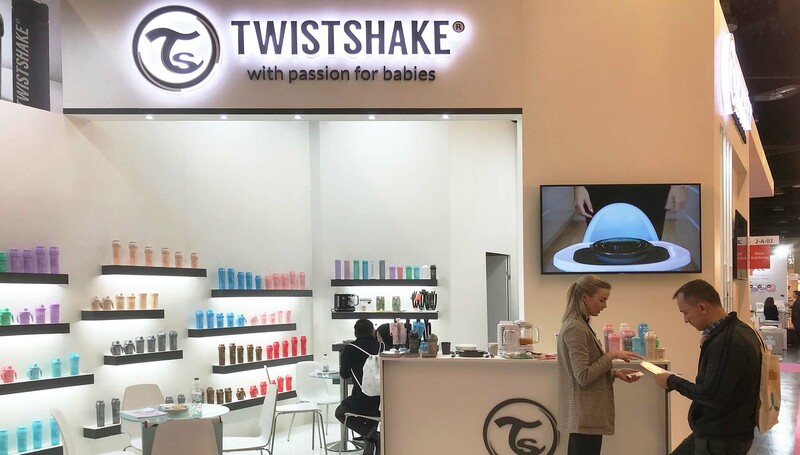 The project is designed as a pure background for the baby product of the brand ‘’Twistshake’’. The products and brand name are highlighted by the black horizontal lines. Meeting area is divided with vertical pillars to create semi-isolated area.